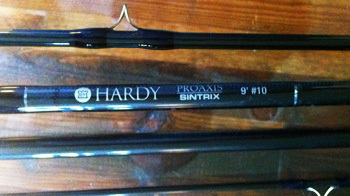 The Hardy 10-weight, 4-piece Proaxis fly rod. Though we had only a light breeze in June, I came away impressed by the Proaxis’s ability to quickly deliver and pick up the fly and honestly disappointed by some of the other rods’ casting abilities. One rod that had become my favorite bonefish and light permit rod felt a bit flimsy when I started to push it as hard as I was pushing the Hardy. Others felt too slow. We didn’t get to fight a permit (too bad, because they were all big), but we didn’t need to put a big bend in the rod to realize it was plenty strong. Titanium recoil guides and silver plugs that help prevent ferrule damage are just two of the features that mark the Proaxis as a highly durable product. I’ll have to land a few fish and see how the rod performs in a 25-knot wind to give it my unequivocal endorsement, but from the fishing I’ve done so far, the Proaxis 10-weight is as close to a perfect casting permit rod as I’ve fished. It’s not an inexpensive rod ($685 to $745 depending on size), but then I’m still fishing some rods that have been my favorites since the 1980s. (A good fly rod doesn’t wear out, in my opinion.) And this rod has all the goodies: titanium recoil guides, super-durable Sintrix resin construction, and a lifetime extended warranty for the original buyer. 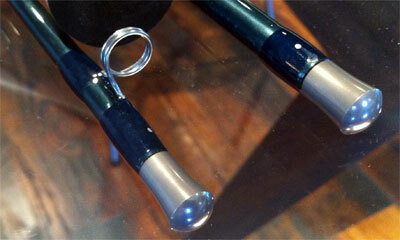 It even has elegant silver “plugs” that fit into the ferrules to prevent crushing during storage and transport. You’ll want to include the Proaxis in any test-casting of premium permit and small tarpon rods.